Hello guys, if you are preparing for your next Programming Job interview and looking for some frequently asked Coding or Programming questions to practice then you have come to the right place. In this article, I am going to share some of the most commonly asked Coding questions from Programming Job interviews. In order to do well on the Coding interview you need practice, you just can't go there and expect to solve the coding problems in limited time. Sometimes, the interviewer also asks little bit easier coding questions on telephonic interview e.g. revering array in place or reversing a string in place. Sometimes, when you hear these popular coding questions first time on the interview, you stumble because of nervousness and lack of preparation and that's where knowledge of popular coding questions is important before going for any programming job interviews. Most of the coding questions are asked for Data Structures e.g. array, string, linked list, binary tree etc, but sometimes you also get algorithmic, tricky, logical and scenario based questions e.g. swapping two integers without using a temp variable or checking if two rectangle overlap or not. That's why I have divided this list into five categories i.e. array based coding questions, string-based questions, linked list questions, binary tree questions and others where we'll tackle bit manipulation, design, tricky, logical and other miscellaneous topics. A good knowledge of Data Structure and Algorithm is essential and even though you will learn a lot of new concepts by solving these questions, I suggest you first refresh your knowledge of Data Structure and Algorithm before attempting these questions. If you need resources, you can check this list of books and courses to learn Data Structure and Algorithms. Here is my list of some of the most popular coding questions to crack any programming job interviews. The questions are more like you find in popular book Cracking for Job Interview, one of the essential books to do well on a Job interview, but more focus on Data Structure and Coding rather than touching every single possible topic required for programming job interview e.g. SQL, UNIX, Database, Networking etc. For that, you need to read books and you can find many good titles here. We'll start the list by first exploring array based questions e.g. 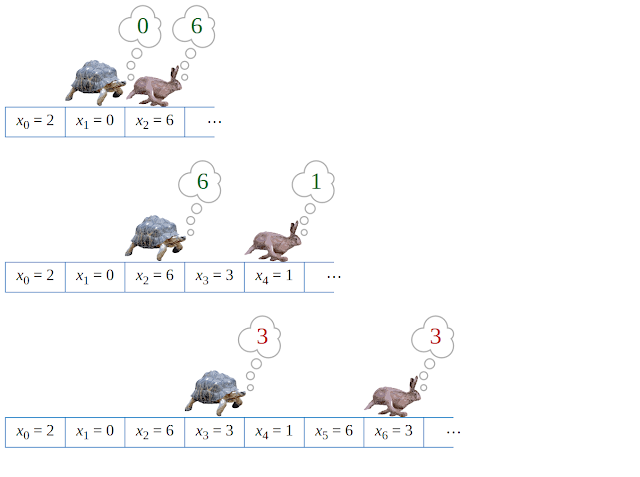 finding pairs whose sum is given a number and then move to string-based questions, linked list based questions, binary tree questions and finally tackler other topics. If you ask me just one topic to prepare really well for coding interviews, I would pick the array. It's one of the essential data structure and favorite darling of coding interviews. There are so many popular coding interview questions which are based upon the array, some of them are easy and some are tough but you can be sure that you will see some questions based upon array in your next programming job interview. If you don't know, an array is a data structure which holds other objects e.g String, int, float etc. It holds them in a contiguous location in memory which makes it easily searchable and retrieval in O(1) time using the index. Insertion and deletion of an array are tough because you cannot change the size of an array once created and you need to create a new array and copy elements from old to new. I have linked to all the solution but you should try to solve them by yourself before looking at the solution, especially if you have time. That's the only sure way to learn to programme by solving these coding questions. If you think these 10 questions from the array is not enough and you are interested in solving more array-based programming problems then you can also check out this 30 array based coding questions for more practice. After array, String is the next popular topic on Programming job interviews, but if you have a good understanding of array then you can easily deal with String programming questions because String is nothing but a character array. The string is implemented differently in different programming language e.g. in C it's a NULL terminated character array but in Java, it's an object. Though, you can still get access to the underlying array to apply your logic. Here is a list of some of the frequently asked coding questions which are based on String. Though some of them are quite old, you can still expect this in your programming job interview in 2018. Similar to an array, I have also linked to a solution for all of these String problems but if you want to get most of this article, you better solve these questions without looking at the answers. Only when you stuck and running out-of-time, you can look at the solution. You can also learn from it by comparing your solution with the solution I have given. It's not necessarily to be same but you can learn a lot by comparing them and if you need more practice, here is another list of 20 String algorithm questions. Along with array and string, a linked list is another popular data structure in programming world as well as on coding interviews. You will find a lot of questions on linked list e.g. reversing a linked list, adding a new element, removing an element from middle etc. It's also the counterpart of array data structure. While array stores elements on contiguous memory location, the linked list stored them at different locations and find them by storing there address. a linked list is made of nodes, an internal data structure which holds the value as well as the address of next node. Becuase of its structure, it's easier to add and remove elements from the linked list e.g. on O(1) time if you are adding or removing from the head but the search is equally difficult and takes O(n) time, as you have to literally walk through each element. Similar to array and string, I have also linked to all the solutions but you should only look them once you solved the problem on your own or you feel stuck. A key to solving linked list is a good understanding of recursion because a linked list is a naturally recursive data structure, for example, if you take one node out of the linked list, the result is another linked list. This means most of the linked list based problems has an easy recursive solution than their iterative version. And if you need more practice, here is another list of 30 linked list programming questions for your reference. 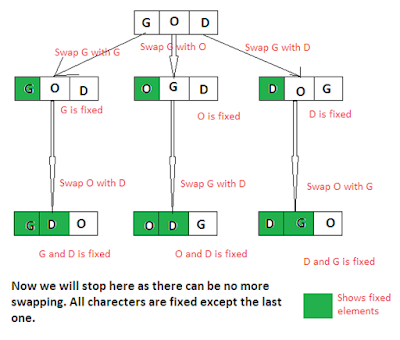 A tree is another popular data structure in the programming world and coding interviews. Unlike array and linked list, which are considered linear data structure, a tree is considered a hierarchical data structure and used to arrange information in hierarchical order. There are a lot of different types of tree e.g. binary tree, binary search tree, AVL tree, Red Black tree etc but Binary and Binary search tree are also known as BST are two of the most popular ones and most of the question are based upon them. Some questions are also based upon theoretical knowledge of tree data structure e.g. finding the height of the tree, finding leaf nodes, checking if the tree is balanced or not etc, hence you should also spend some time to learn the basics, along with practicing coding questions. Like an array, linked list and string questions, I have also linked to all solution for binary tree questions but you should only look them once you have tried it yourself. One trick I would like to share with you while solving tree questions is to remember that, similar to a linked list, the tree is also a recursive data structure and most of the tree based problems has an easy recursive solution. For example, a subtree is also a tree which means you can apply same steps to subtree can devise a recursive solution. In above list, many popular tree algorithms e.g. pre-order, post-order, in-order are implemented recursively as well as iterative. If you don't feel confident to solve these problems and want to refresh your knowledge of binary tree and other data structure before attempting these questions, then you should check out Data Structures and Algorithms: Deep Dive Using Java from Udemy. Even though data structure based questions makes the bulk of Coding Interview, there are always some questions from topics like sorting algorithms, bit manipulation, software design, Dynamic Programming, and other logical and tricky questions. In this list below, you will find most of the common searching and sort questions as well as a couple of design and bit manipulation questions. Like previous topics, I have provided links to a solution but you should only look them once you tried to solve the questions yourself. That's important for learning. That's all about some of the essential Programming and Coding Interview questions to crack any programming Job interviews. This list covers most important topics e.g. array, string, linked list, binary tree and several others. Once you have gone through all these coding questions, you can not only solve them when you see them in the interview but also develop the coding sense and problem-solving ability which will help you to solve new and slightly modified versions of these questions on real programming interview. Thanks a lot for reading this article so far. If you like these Coding Interview questions then please share with your friends and colleagues. If you have any questions or feedback then please drop a note. P.S. - If you have any doubt over questions or you need more details, you can always ask us by dropping a note. disappointing way to start an otherwise useful article: "hey guys..."
as a female SE, "hey guys..." feels like a careless and exclusionary introduction. if it was nestled into the body of the article, I probably wouldn't notice. However, as the first thing I read, my first thought is to comment, and then close immediately. no jokes here, I'm merely stating that I'm unlikely to be the only female engineer sensitive to this in the tech industry. I say "hey guys..." in much the same way a southerner says "ya'll", it's just a plural for a group. Stop turning everything into a problem. Yeah, about time, I change my style and start saying "Hello all", thanks a lot. Hey feminist, it is just a word. Really you are going to get offended and discount everything that the page says because of one word? A real strong woman would move past it and realize the interview questions included within are actually quite good and detailed and probably will prepare you quite well for a job interview. Instead you are so concerned about the word "guys" at the top. Did you ever notice how actual guys don't spend time worrying about trivial things and just focus on getting the job done. Try that instead. All the lady engineers who get help from male engineers should remember to give back. Time and again, my experience with female engineers at conferences has been very poor. There is no sharing of knowledge. It cannot be one way street in the name of equality. Two, please respect the author who works for the whole community, rather than nit-picking over political correctness. Oh please, if you respected women in the industry, you wouldn't be so critical of them. I agree with the poster. The terminology should be more inclusive. It's a matter of respect. omg, you fight each other just for "hello guys" words ?